Let the firefighters in your life know you support them with our When the Going Gets Tough, The Tough Go In! t-shirts and sweatshirts. We have colors and styles for the whole family. 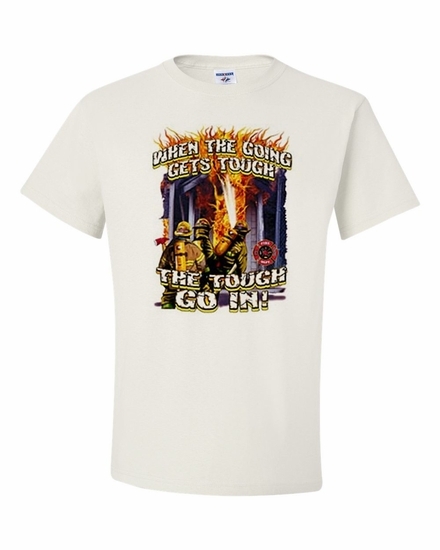 Our When the Going Gets Tough, The Tough Go In! coffee mug holds your favorite beverage to start your day. Remember� you found the When the Going Gets Tough, The Tough Go In! Shirts at TShirtHub.com, where high quality came at a low price.